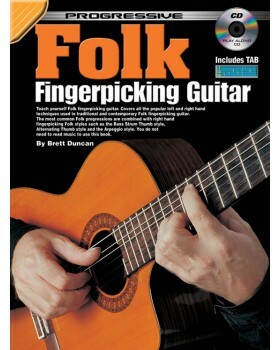 Teach yourself folk fingerpicking guitar. 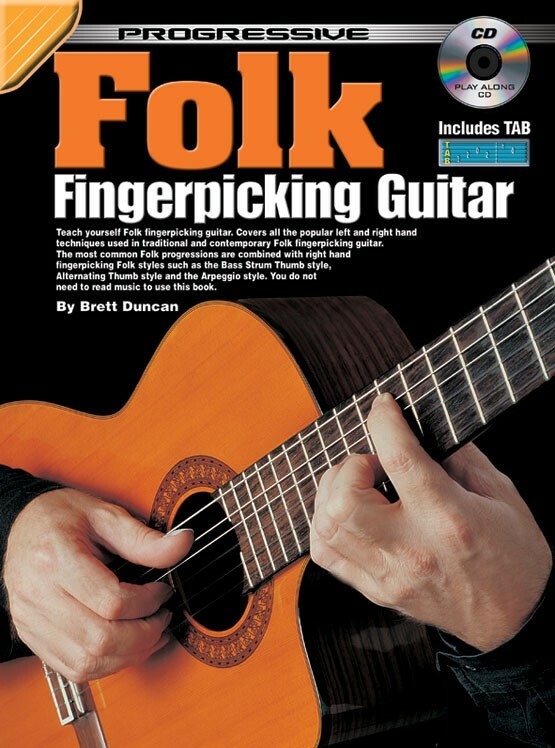 Covers all the popular left and right hand techniques used in traditional and contemporary folk fingerpicking guitar. The most common folk progressions are combined with right hand fingerpicking folk styles such as the bass strum thumb style, alternating thumb style and the arpeggio style. You do not need to read music to use this book.